Cutting Capacity: 2 Inch Diameter. In order to keep pace with never ending demands of the customers, our company is instrumental in presenting wide assortment of Lopping Shear. Our offered product is extensively used to remove branches, vines, and roots that are too large. Apart from this, Lopping Shear has excellent strength and robust construction. We are an eminent organization that is engaged in supplying, wholesaling, trading Lopping Shears. Our presented series of Lopping Shear is enormously demanded in the market for their long-lasting nature and superior finish. Adjustable Loping Shear.Height can be increased. 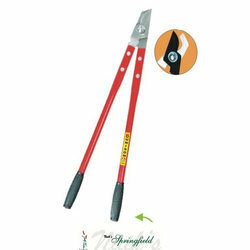 Our clients can avail from us Garden Loppers Shear that are appreciated for their light weight, durability and quick action. 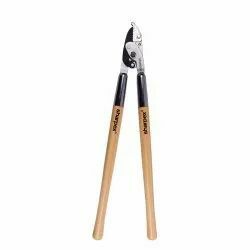 The blades are made out of special carbon steel that is hardened and tempered. Steel handle provided has a nice strong grip and thus is easy to use.